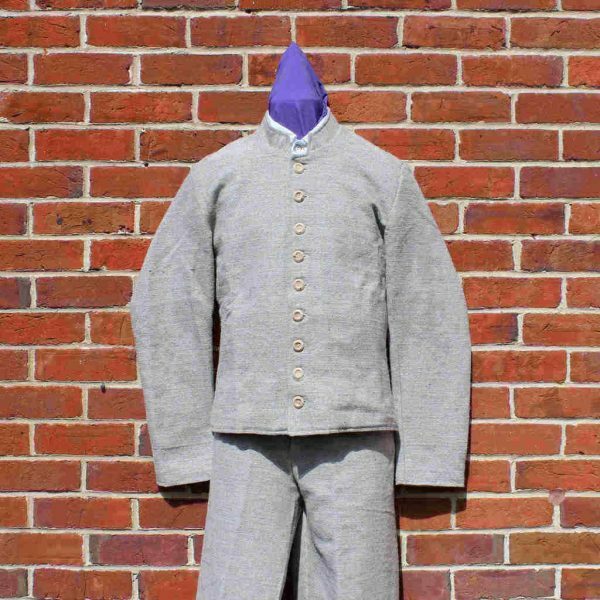 Most of the army of Northern Virginia were issued with the Richmond Shell Jacket, this jacket came along as the war progressed early, mid and final years. This is a good example of the last years of the war 1863-5 as these were being made with neither belt loops or epilets. Made of best quality of Jean Cloth, fully lined, with an internal pocket. External seams and button holes are hand stitched, with 9 buttons down the front. If your size is not listed, please contact us for a price.